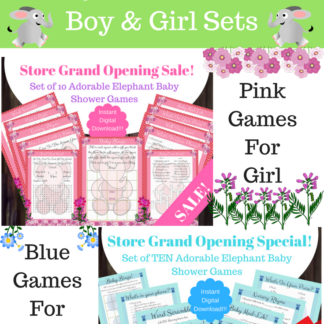 Well, we have designed this super cute printable Bingo game with an adorable Blue Elephant motif. Simply check out, and print! 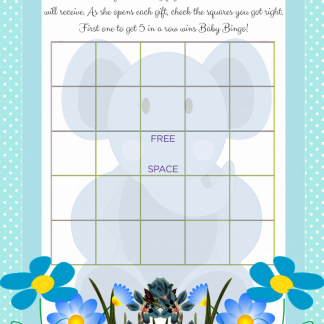 You can print as many of these super fun bingo cards as you want for your guests! 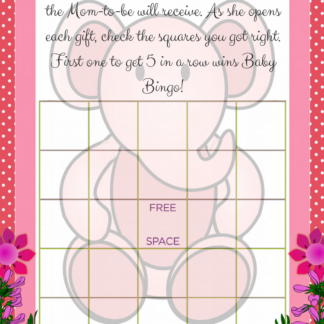 Our Bingo game cards are professionally designed, and exclusive to our company. We know that your guests will love them!